Some trends come and go rather quickly but one that seems like it just won’t quit is sparkling water. This delicious carbonated beverage has quickly grown popular, and not just because of the colorful cans perfect for your instagram feed. 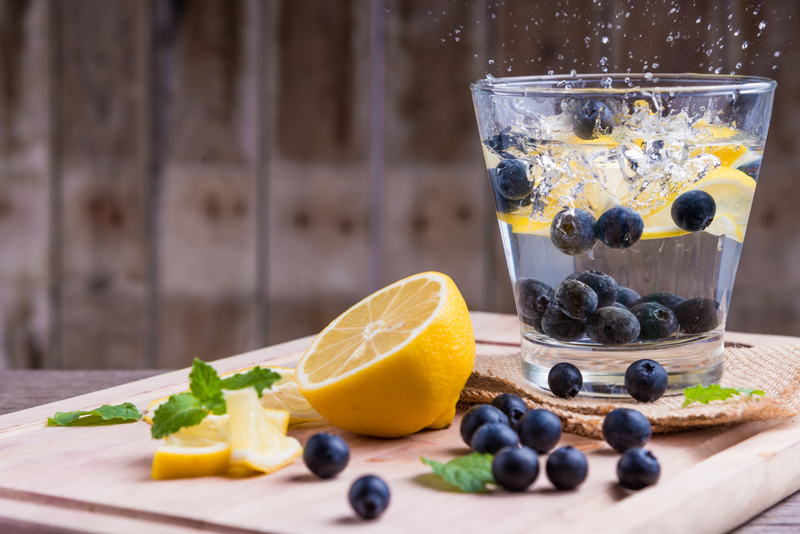 There has been both positive and negative feedback when it comes to the benefits of drinking sparkling water, especially drinking it over still water. Today we’re going to cover all things sparkling water, and hopefully answer some of the burning questions you may have about the refreshing drink. Will it be your go-to drink of the summer, or will you avoid it at all costs? The best way to make a decision is to know all the facts! The biggest question that should be on your mind is if sparkling water is as good for you as drinking regular old still water. The answer is yes, but with a couple restraints. Carbonated water, AKA Sparkling Water, can hydrate you just as much as still water but only if the sparkling water you choose is truly 100% only water and carbonation. If you avoid sparkling waters with added flavors and sugars, you will hydrate yourself just as you would if you were drinking still water. Sparkling water fans, rejoice! You can continue replacing your sodas and other carbonated beverages with sparkling water while reaping the benefits of drinking water. Just make sure it’s devoid of additives. The next big question is if sparkling water is bad for your teeth. Drinks with carbonation generally have a higher acidity level, begging the question if they’re harmful for the enamel of your teeth. Well the answers are in, and according to the American Dental Association still water and sparkling water affect the teeth in the same way. So, even though the carbonated water beverage is slightly more acidic it doesn’t alter the teeth in a way other than normal drinking water does. This ONLY applies to sparkling waters that are, again, purely carbonation and water. Essentially, the more you add to the sparkling water the less hydrating or healthy the water becomes. Drinking water is one of the best ways you can keep skin looking fresh and vibrant outside of your skincare routine. One of the biggest detriments to skin is sugar, which is also one of the big ingredients found in soda and soft drinks. 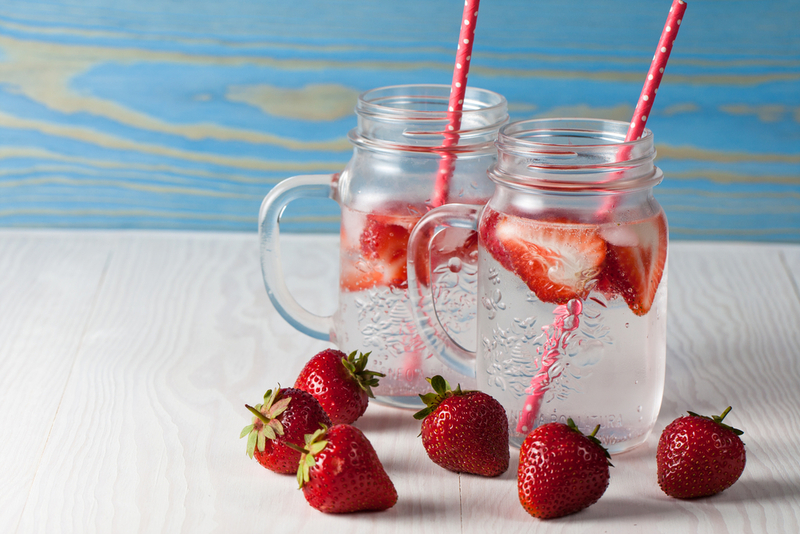 Swap your soda for a sparkling water: you’ll cut out unnecessary sugar and calories in your diet while enjoying a refreshing beverage that will benefit your skin instead of bring it down. Or, spice up your normal hydration routine and swap one of your daily glasses of water for a sparkling one. Throw in some fresh fruit that compliments the flavor you select, if you opt for a flavored sparkling water, or to flavor the sparkling water. Another great use for sparkling water is as a mixer. Drinking alcohol isn’t doing your skin any favors, but swapping your normal soda or juice mixer for a plain or flavored sparkling water allows you to not consume unwanted calories or sugar, and help hydrate you at the same time. A refreshing vodka with sparkling water and lime sure does sound like a delicious yet simple way to cool off in the summer heat and stay hydrated at the same time. Just be careful: don’t let the colorful packaging of the sparkling water cans fool you. It is only as hydrating as still water when it’s purely carbonated water. If you’re looking for even more hydration for your skin, try SSLA Lifestyle’s Rehydrate. This triple stem cell anti-aging cream is perfect for giving you the youthful glow you want, while also reducing the appearance of fine lines and wrinkles. The powerful skin boosters penetrate deep into the skin to heal the face from inside out, and promote healthy skin. For more information, check out the SSLA Lifestyle product page.